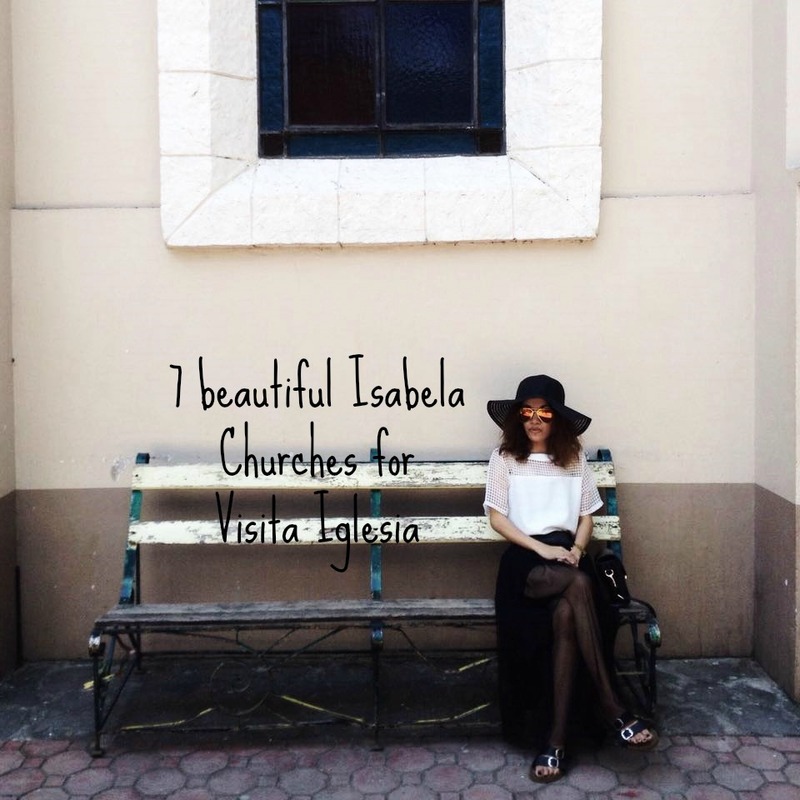 Post Lenten Season: 7 beautiful Isabela churches you can consider for Visita Iglesia. Holy Week was a tradition that was integrated into the Filipino society during the Spanish regime. Since then, Filipinos have been commemorating this day as an important religious holiday. And this year, I spent it with my family. Well, it is customary for Filipinos to visit seven churches on this particular week. This is called Visita Iglesia which is a Spanish word for “to visit churches”. Some people visit 14 churches to symbolize the 14 Stations of the Cross, and last week (Maundy Thursday) we visited seven churches. So, this was our itinerary. I know this post is kinda late already but you may use this as reference and guide in the future if ever you lived in Cagayan Valley region between Isabela and Cagayan provinces and is planning to do Visita Iglesia. 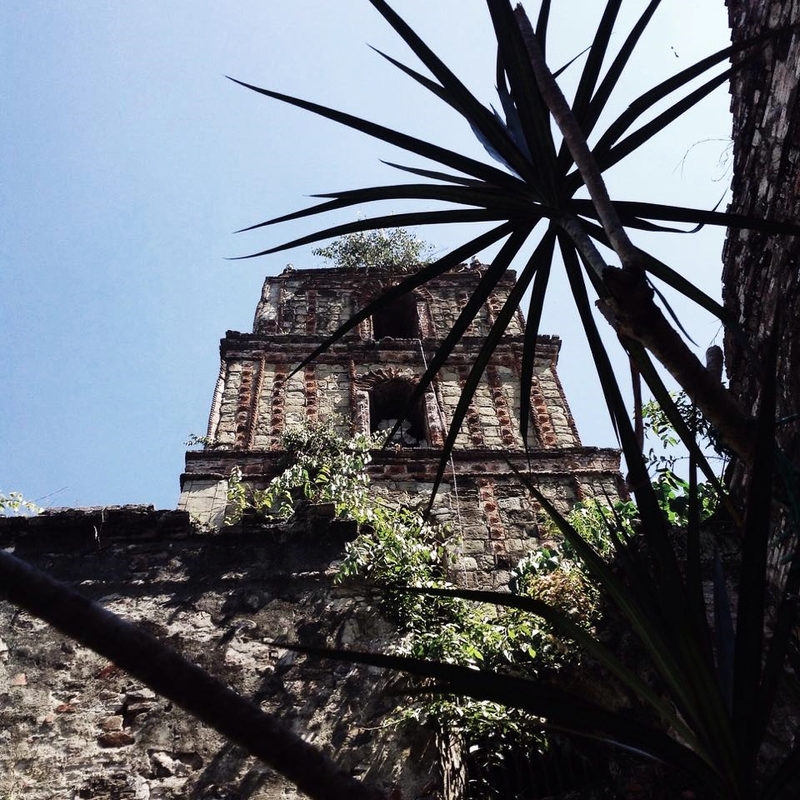 The Old San Pablo Church. 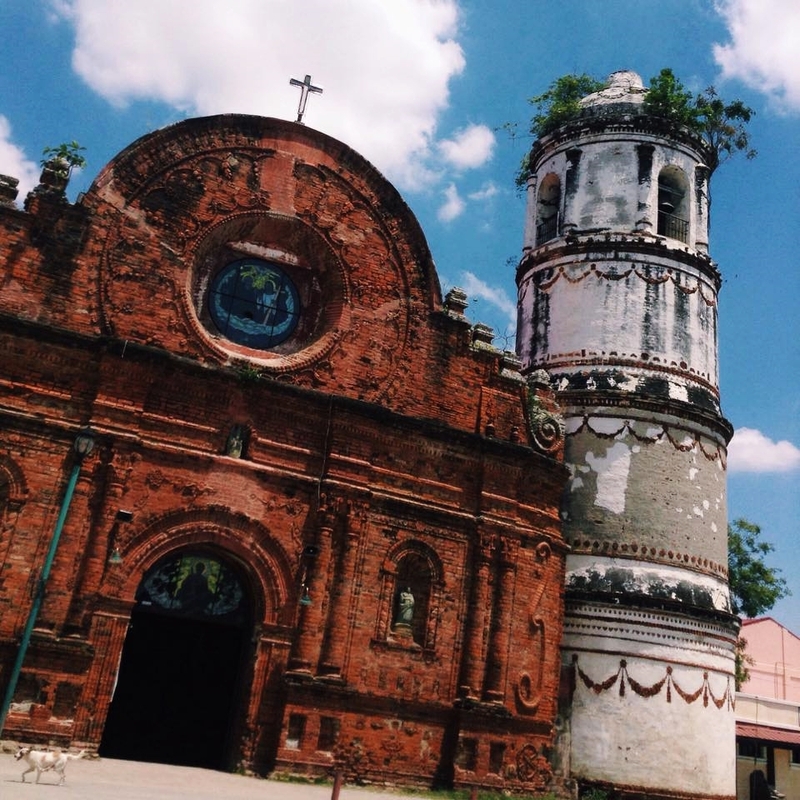 Located in San Pablo, Isabela, first built in early 17th century and is said to be Isabela’s oldest, if not the oldest in the entire Cagayan Valley. It barely survived World War II, and it is a must see for tourists and travelers visiting the Queen Province of the Valley. Located in Cabagan, Isabela, this was actually a century old church but it was refurbished. Hmmm… I’m quite curious how does it look like before? the bricked façade was just perfect. After few minutes of driving, we reached our next church destination. 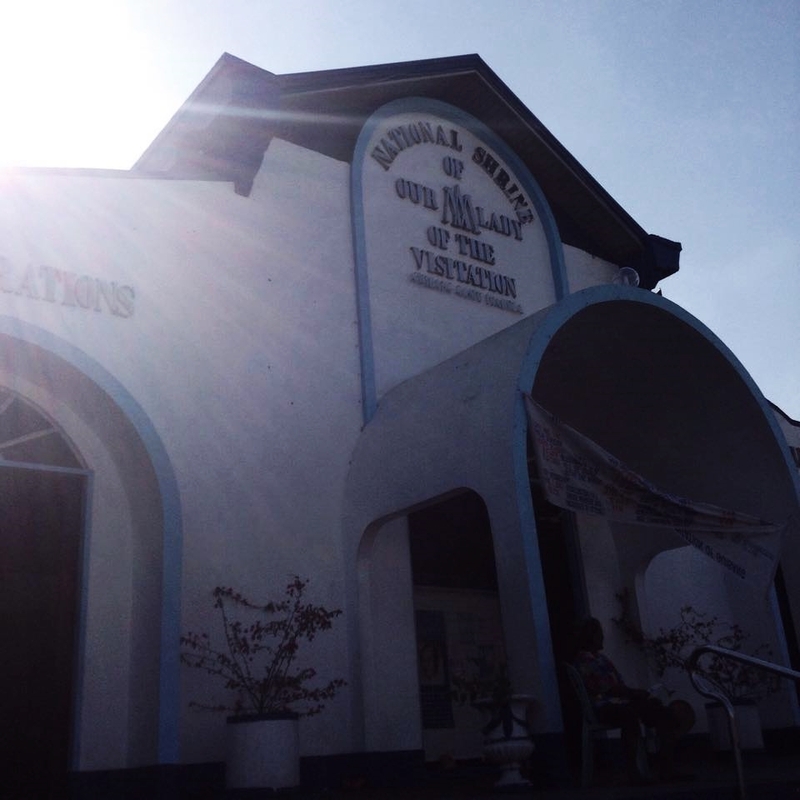 Located in Tumauini, Isabela, I remember before that this church was featured on the national tourism campaign of Department of Tourism . Amazing isn’t it? That’s not quite a shock already as it is the only Spanish colonial era church (I believed) in the country with a cake like cylindrical belfry tower. Built under the auspices of Dominican priests and was completed in 1805, the church was damaged during the Second World War and its building was made entirely of ornately-designed red bricks in its façade and its interior walls. One of its kind in the whole Valley. This church can’t be seen on the highways or the main national road as it was located in the center of the city of Ilagan. The church is impressive, with very high ceiling and walls made of bricks. The parish church has an interesting history. It was around 1696 and 1700 that Fr. Miguel Matos, OP, built the church of stone and bricks. A typhoon in 1866 destroyed the roof of the church. Desiring to make the church bigger, Fr. Pablo Almazan, OP, demolished the solid walls of the church, which, unfortunately, was never built. The walls of the church today are of modern make. Few kilometers away from the City of Ilagan, was a newly built cathedral where the Bishop resides. located in Brgy. Upi, Gamu, Isabela. This Cathedral is majestic with its modern façade and as well as its interiors with life size paintings hanged on the wall and stained glass windows. Next stop is the National Shrine of Our Lady of the Visitation of Guibang. Located in Guibang, Gamu, Isabela. 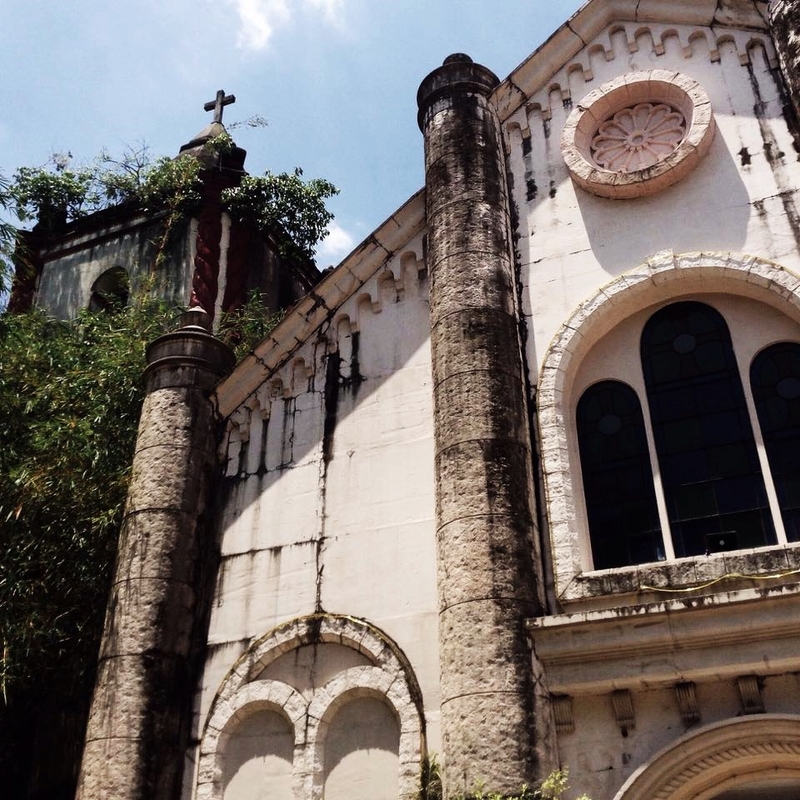 This church of was elevated to a national shrine in 1986 by the Catholic Bishop’s Conference of the Philippines. Which had been the destination of pilgrims from the province and beyond. 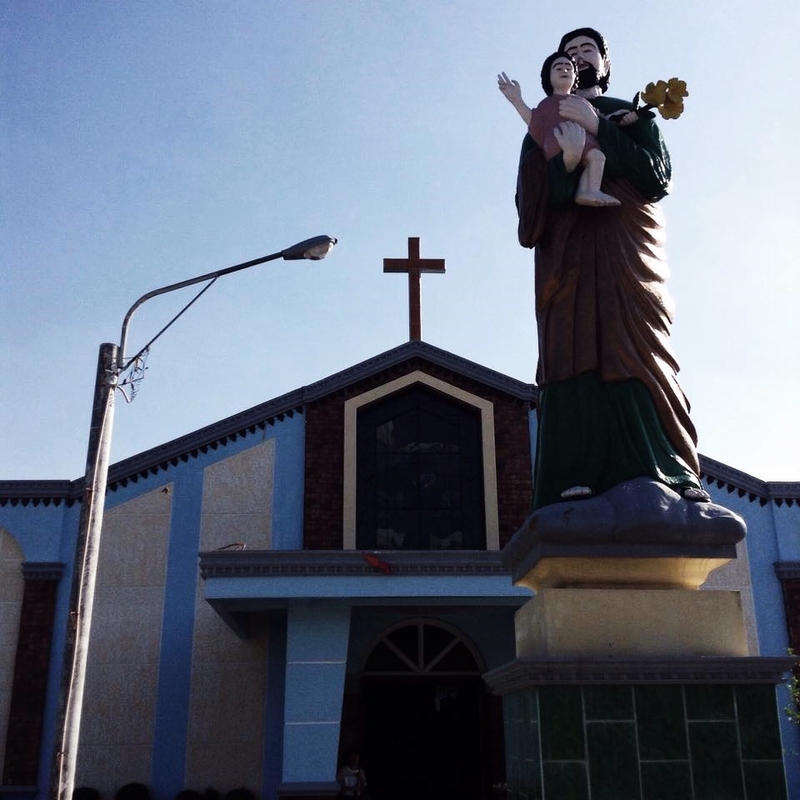 Few minutes away from Our Lady of Guibang National Shrine is the town of Naguilan, Isabela where you can find the Parish of St. Joseph the Spouse. Originally, our next destination after Our Lady of Guibang National Shrine will be in Cauayan City, but.. My parents decided not to skip a church. This church was quiet which I actually love, it’s a good place for praying. 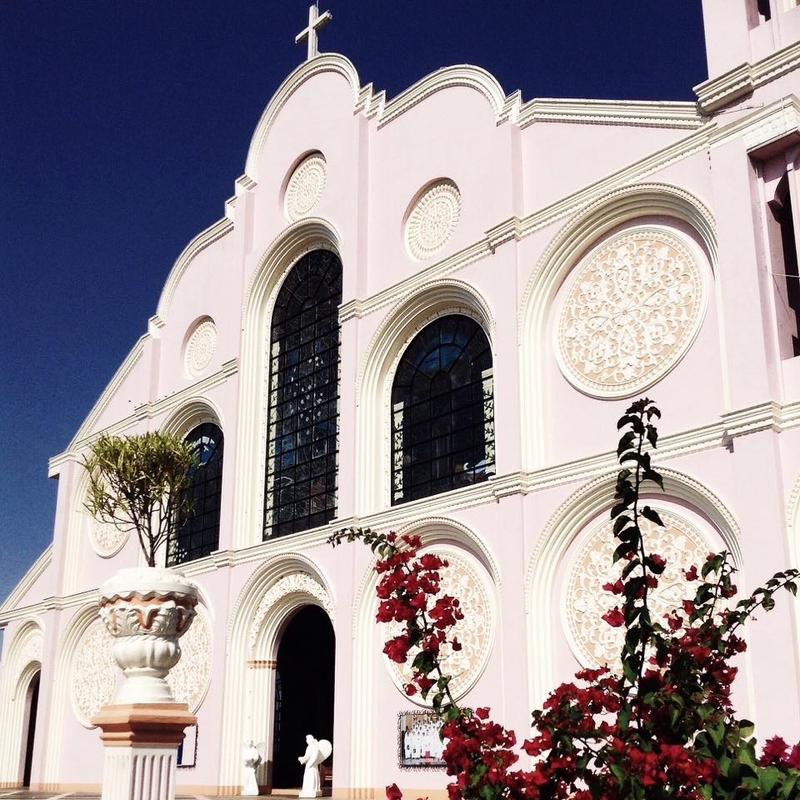 Indeed, Isabela has a wealth of remarkable churches spanning the entire province and there’s nothing as therapeutic as going to church on Holy Week or even if its on a regular day. Because you will always feel spiritually lighted. 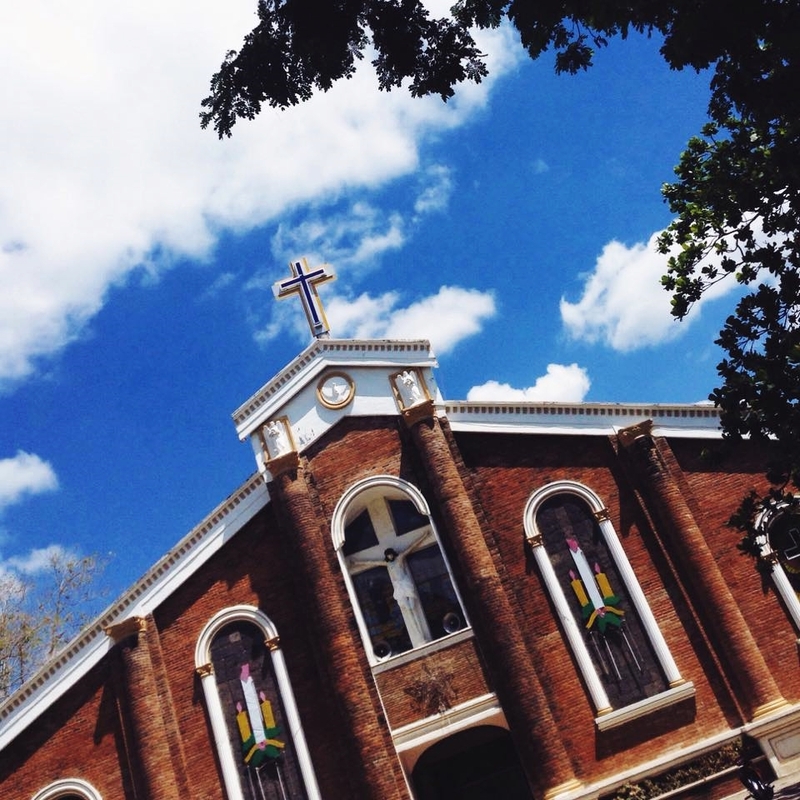 Though nowadays, the Visita Iglesia has expanded beyond being a purely religious practice, as tourists often travel alongside the faithful to visit old colonial churches and cathedrals across the country. Though the whole itinerary includes long hours of driving and consumes a lot of energy, surprisingly I never got tired at all and I really enjoyed this spiritual trip. The reality break I’ve needed since the start of the year. i will bookmark this posts for future. I love it, sayang wala yung church ng Gamu. The parish church mismo. Amazing pictures, the churches are beautiful! Hi! Thank you, yes they are! I hope to visit one of those ‘old’ churches someday. Isabela is near Santiago? Santiago City is actually in Isabela Ate, southern part! It’s 3 hours away from my town. Sayang lang coz we only visited 7 churches, I actually planned it to visit old churches lang… kaso? my parents wanted not to skip a church. hehe. So? I have no choice. hahaha! those old churches are one of the many things i miss about the PH. they’re so beautiful!! here in canada, catholic churches aren’t very appealing and don’t seem to have any history/culture to them, they’re just buildings, really.. I haven’t been to any of these churches, these will be on my bucketlist ❤ And i really love the architecture! Hi! old spanish colonial architecture are always the best I must say. 🙂 Hope to see you around! Wow! 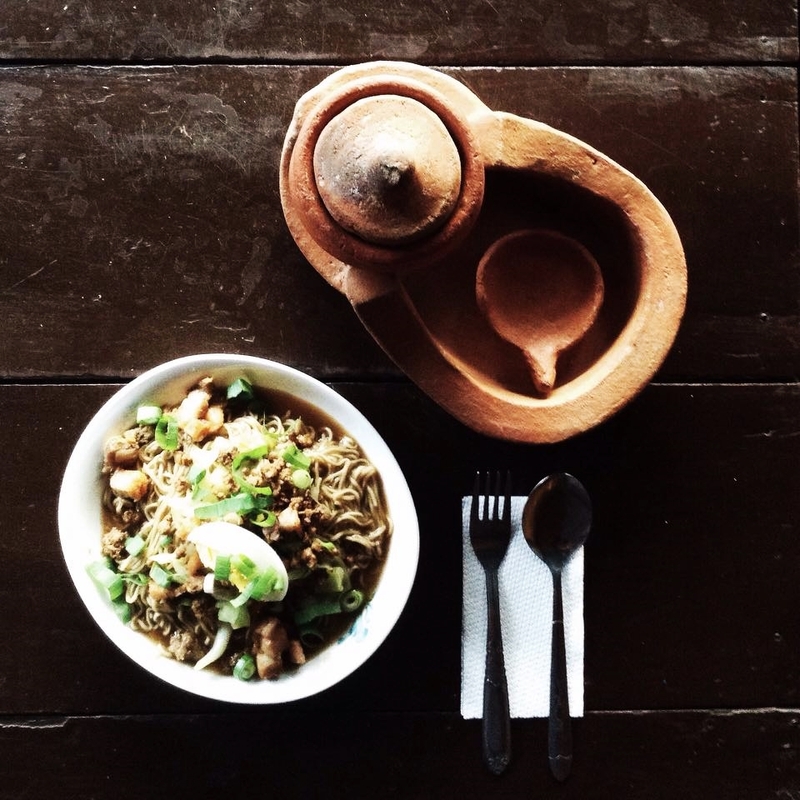 Isabela indeed has a lot to offer. 🙂 Thank you for featuring our church in Tumauini. loving the architectures 🙂 so beautiful!